I recently read this article about reasons why being a child in Germany is great. But I really was not convinced by some of the arguments: the Happy Meal being the worse one. So I decided to compile my own list. Despite some of the recent bad press of Germany, it is a great place to raise children. 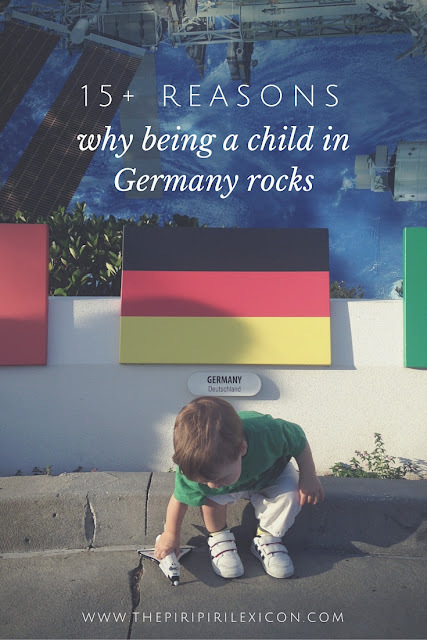 Here are some of my favourite reasons why it is great to be a child in Germany. - You walk to school alone from about 5/6 years old. - You play naked in public ponds, water features and nobody will bat an eyelid or report you and your parents to social services. - You will climb on top of playground structures or park equipment (where only birds can usually go) but no adult will say anything. - Playing with knives, nails and marbles is no problem from toddlerhood onwards. - The playgrounds are everywhere, fancy, dangerously safe. Just great fun. - Play matters. Always. Everyday. - You are outdoors come rain, sun or snow. - You get to ride bikes from 2 years old. No stabilizers. Ever. - You don't go to school until 6 years old. - Kids are not taught to read and write before 6. - Starting school is a big, fun, joyous occasion. Parents and schools organise parties and ceremonies to welcome you. You are the star of the show for a few days. - Germany, as a country, rewards your parents for existing and later for furthering your education with monthly generous allowances. - Adults have a general relaxed attitude to discipline. - Adults will always carry a ton of snacks with them to the playground or any other outing. - Adults will dress you up (head to toe) in waterproof gear that is totally awesome. - You always wear comfortable and practical clothing rather than pretty or elegant options. - You can walk around in your underwear indoors (stockings/tights) and it does not need to be your home. 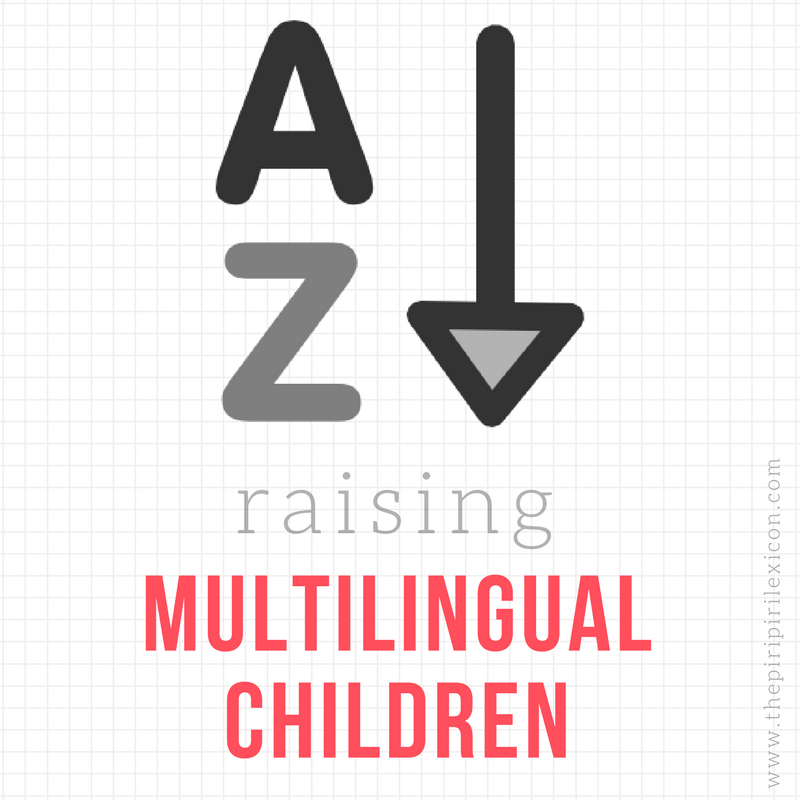 Are you raising your children in Germany? What do you like about it? I always find 6 years old to be really late for starting school. That means children who don't go to KIndergarten are six years old before they experience any kind of classroom setting! But Kindergarten is mandatory in Switzerland, so that feels like a good compromise. There are very very few children who don't go to Kindergarten in Germany. Yes, seriously- what's the deal with not going to school till 6 years old? I think school is fun! (depends on the school actually). My son's endless summer vacation is almost over and although we had a fantastic time full of play dates, pools & beaches, he can't wait to get back to school! & discipline is a grey area. I think I'm pretty relaxed too. And then I come across kids who are noisy as ever, don't bother with seat belts and eat their meals in bed and then I think I'm pretty strict! I will. Thanks for mentioning it. I always envied G-kids for their Schultüte! Oh yes... one more project for the summer. I've been missing Germany so much so this has been hard for me to read. Those really are great points about childhood there. I'm also a fan of the kita system with kids being in different age ranges in one classroom. They have more experience playing with kids who aren't the same age and I think it creates a more understanding kid. Sounds like an amazing place to raise kids; such freedom for kids to be kids. What a great place for kids! I am all for comfortable clothes daily, such a plus for free play and learning. Thank you for sharing. I'm from Berlin and totally agree with your list. I moved to the UK, when I met my husband and had a bit of a cultural shock. I just had my second son and it can be very frustrating sometimes, because so many things seem so different over here. I don't like the playgrounds with that weird soft tarmac flooring, no museums ( where we are), I'm irritated that kids don't brush their teeth in nursery and school defenitely starts way too early. All the research shows that English kids don't peform any better when it comes to literacy/ numeracy , so why starting so early. German children don't learn phonics in nursery, but they explore, learn through play and are raised to be confident enough to then start school. My son will only be 4,3 years old when he starts school this September and the idea of him having to spend 6 hours per day mortifies me. I really like your list. But I am a huge DE fan. I would add, I love that kids spend so much time outdoors including at the amazing outdoor pools in the summer. Take a picnic for the afternoon and a picnic blanket, lots of sunscreen and snacks, and kids can play unfettered for hours. In any combination of swimming attire and change out in the open with no shame. Also with the not going to school until 6, they don't start school until 6. But many start with great pedagogical daycares at age 1, the majority start by age 2, and approaching 100% are in Kindergarten for 3 years from age 3 when the costs go down to only 75€ per kid per month. Pedagogy is not just about early math skills and sight words but teaching children to reason and explore. And that they get fully here. Plus after seeing many years of students go through 1st grade and seeing what their peers can do in the US at the end of 1st grade, there is absolutely no advantage to starting them early. They are at the same place after 1st grade. Learning is great fun and kids should love to go to kindergarten and later school. But the majority of children struggle more with literacy acquisition if started at an earlier age and learn to dread learning rather than enjoying the process later when they are cognitively able to do the work. Learning should be relatively easy the first years and not a struggle. I think most of your readership is in the lucky position of having kids who could cognitively handle earlier learning. But why? A year makes no difference in the long run or even in the short run. And education is not just about those at the top of the spectrum. I entirely agree. No debate! Compared to France where kids learn to write their names, read before first grade, I am so glad I am here now, while my kids are little.